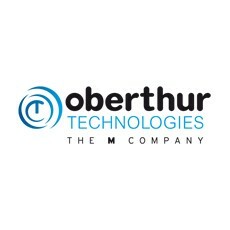 Oberthur Technologies (OT), a world leader in digital security solutions for the mobility space announced that it has completed its acquisition of Prodo Telecom. Prodo Telecom is one of the few companies exclusively specialized in Over-The-Air (OTA) platforms. OTA platforms allow mobile operators to update SIM and embedded cards during their life cycle, relying on short messages and data connections, minimizing card replacement costs, optimizing their roaming services and providing new value-added services to their customers. Since its creation in 2001, Prodo Telecom has become a recognized independent technology leader thanks to their solid experience in OTA technologies and their next-generation, modular and light-weight product. Present worldwide, most of Prodo Telecom’s client base are established mobile network operators (MNO) ranging from small-sized to tier-1 groups. OT is anticipating a growing demand in OTA platforms due to the explosion of the Internet of Things and the large number of 4G migrations MNOs will have to conduct within the next few years. With already more than 50 Prodo’s references worldwide, this acquisition will increase even further OT’s position on the OTA market and allow us to meet customers’ expectations for robust, easy to deploy and to maintain solutions. “The environment of our customers is changing constantly, driven by major trends in the Telecom market. Through Prodo Telecom’s acquisition, OT is pursuing its strategy of acquiring companies completing our portfolio of end-to-end solutions and enhancing our global footprint. OT’s ambition is to strongly support mobile operators in their strategy by proposing the best products and solutions meeting their future needs”, said Marek Juda, Managing Director of the Solutions Business Unit at OT. Previous : 5G – what is it good for?